All of the world's wastewater treatment plants produce large quantities of sewage sludge, used today to produce biogas. In the future, treatment plants can have a broader function by being converted into biorefineries for the production of everything from biogas to different new materials. Researchers in Resource Recovery at the University of Borås, Sweden, plan to validate a new concept in which they produce and extract fatty acids using membrane bioreactors, which in turn are used to produce the substances acetic acid and hydrogen. Today, food waste and sludge from wastewater treatment plants are being used to produce biogas, but biogas competes with other energy types, such as wind power and solar energy, which makes the production of biogas alone limiting. "But with our technology, we can develop a platform so that the treatment plants can be transformed into refineries where different chemical substances can be extracted and used to produce different types of materials. Fatty acids are a kind of intermediate product," explains Mohammad Taherzadeh, Professor in Bioprocess Technology, who heads the project. Fatty acids have a function similar to that of sugar in various petrochemical and biological processes, namely, as sustenance for the microbes used in the processes. The successful production and extraction of fatty acids allows for further processing of these substances to other products, such as bioplastics or butanol. 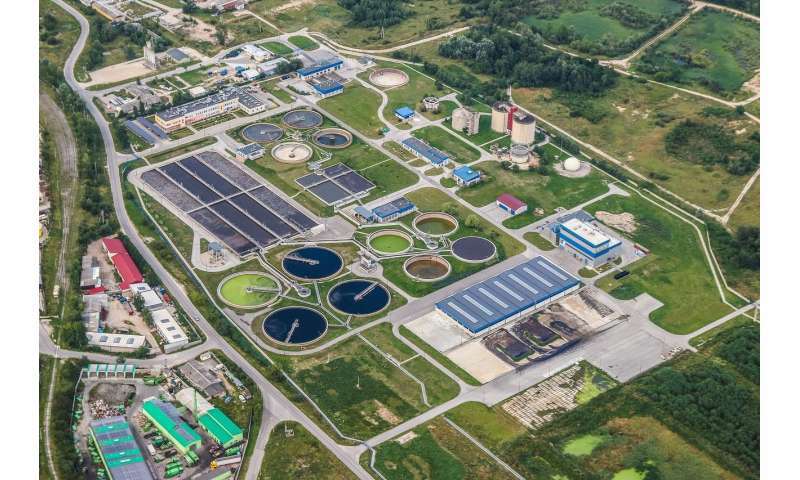 The amount of sewage sludge remaining in the process can be used as substrate – that is, the material that is to be converted – in a biorefinery.